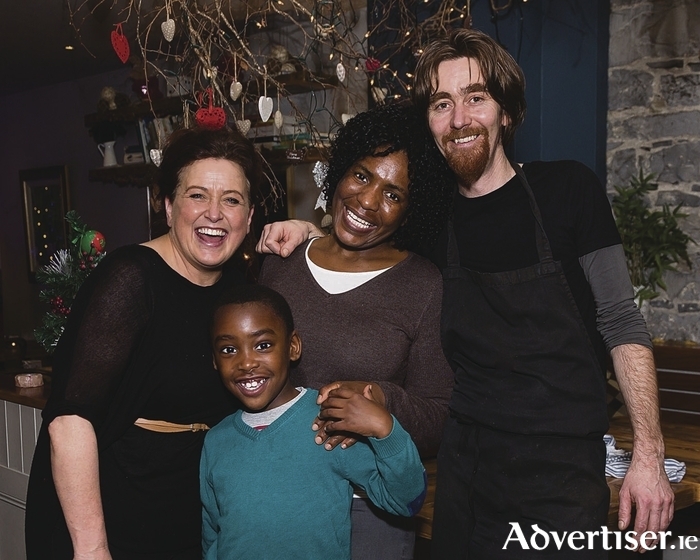 Organisers of The One World Tapestry Multicultural Food event in Dela Restaurant: Margaret Bohan, Dela Retaurant; Blessing Moyo and her son Alex Mugisha; and Alan Gosker, chef, Dela Restaurant. The Kelly Clinic is a new medical and aesthetic clinic in the Bon Secours Hospital Galway. It is a consultant led team that offers complete skin analysis with particular emphasis on pigmented skin lesions. The skin is the largest organ in the body and skin cancer is the most common cancer. Its worldwide prevalence is increasing, especially in Ireland. The clinic uses automated total body photography and dermoscopy to provide full body imaging and follow-up care for skin lesions. The mole analyser is an extra diagnostic tool that can provide an immediate second opinion for suspicious moles. If any abnormalities or symptoms of melanoma are found the patient is immediately booked for excision or biopsy under local anaesthetic. Even on cloudy days as much as 90 per cent of UV rays can reach your skin and this may lead to premature ageing or skin cancer. The practice is focusing on skin awareness. The first course of action is to identify any problems and then attempt to prevent, correct, and protect against further sun damage. The clinic uses researched medically-proven products to treat common medical conditions such as lesions, sun damage, pigmentation, acne, and also treats fine lines and wrinkles.